After studying for a teaching diploma Maureen O'Brien became a founder member of the Everyman Theatre in Liverpool. 3 months later she was asked to audition for the part of Vicki. This was here first television role. After leaving Doctor Who she spent sometime working in a girls school before spending 3 years in Canada. After returning to the UK in the mid seventies various theatre, film, television and radio work followed. In 1979 she won the Best Radio Actress Award. She also became a writer of crime fiction. Vicki, an eighteen-year old girl, was a survivor along with a crippled man called Bennett on a colony ship, from 25th century Earth, that has crashed on the planet Dido. When the TARDIS lands The Doctor, Barbara and Ian soon find the crashed ship and find the stranded and orphaned Vicki. They also become very suspicious of Bennett and they eventually deduce that he had in fact murdered all of the ship's crew and passengers including Vicki's father. When exposed Bennett is killed and The Doctor invites Vicki to join the TARDIS 'We can travel anywhere and everywhere in that old box as you call it. Regardless of space and time and if you like adventure, my dear, I can promise you an abundance of it.' When she accepts his offer The Doctor was overjoyed, as were Ian and Barbara, since this meant the loss of Susan would now be a lot easier for The Doctor to come to terms with. ("The Rescue"). Despite being well educated - to the extent that Ian and Barbara’s teaching skills would have been more appropriate for a nursery class rather than for teenagers in her time of origin - Vicki was nevertheless essentially a regular teenaged girl, and relied constantly on her companions for help and support. Despite this, she was not without her own sense of determination and grew increasingly capable of standing up for herself. From their first meeting, Vicki needed The Doctor for reassurance but The Doctor, in his fondness for her, tended to be overprotective. Vicki's relationship with Ian and Barbara though took a bit longer to become established. This was not helped by the fact that her knowledge was obviously superior to that of Barbara and Ian's and this led, on a number of occasions, to a few misunderstandings which she took full advantage of. This is well demonstrated in "The Space Museum" where she was positively smug when she demonstrated that she understood time dimensions, and Ian didn't. (Although her knowledge of the fine details of Earth’s history was comparatively limited; during a visit to China in the later 1800s she was uncertain if pandas were still in existence or if aeroplanes had been invented by that point in time ("The Eleventh Tiger")). Being from the future Vicki brought to the programme a different point of view to the events and places visited. The character of Vicki was based very much on Susan but without the grandfather/granddaughter relationship. She was a very lively, high spirited and inquisitive companion and was always keen in questioning and seeking information from The Doctor. She was also keen to enjoy herself and took every opportunity to have fun. She was quick in announcing her opinions and was never afraid to let others know what she felt. Despite Ian and Barbara's overshadowing presence, and her tendency to rely on the others to make decisions for her - such as The Doctor’s decision to disguise herself as a boy during a visit to London in 1605, resulting in her having to fend off the advances of the homosexual James VI ("The Plotters"). Vicki did have her moments to show initiative. This was mainly when the group had become separated from each other, such as when she encouraged the native Xerons to revolt against the ruling Moroks, even managing to outwit the controlling computer of the Morok armoury and provoke a revolution ("The Space Museum"). Although the TARDIS crew remained fond of each other, there was never the same bond between Vicki with Ian and Barbara, as there was with Susan, doubtless one of the reasons why Ian and Barbara did not hesitate to leave The Doctor and Vicki when the opportunity arose for them to return to sixties London. This left The Doctor with just Vicki as a companion except that they were unaware that had been joined by astronaut Steven Taylor. When Steven arrived Vicki began to show a bit more confidence and she soon established a friendly rivalry with Steven. 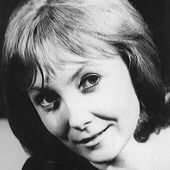 Being the most experienced TARDIS companion Vicki also changed from being a child to a young woman. When the TARDIS lands near the besieged city of Troy Vicki, adopting the name Cressida, decides to stay behind in Troy and start a new life with Prince Troilus who she has fallen in love with. In doing so Vicki manages to resume her life on Earth some three thousand years before she was born ("The Myth Makers"). She was briefly reunited with The Doctor when the Eighth Doctor and Charley Pollard landed in her new home of Asia Minor ("Apocrypha Bipedium"). Although this meeting was initially complicated by Vicki’s lack of knowledge of regeneration causing her to conclude that the Eighth Doctor was a younger version of the First Doctor - even briefly thinking that he was a Dalek duplicate due to his strange behaviour as he attempted to maintain that illusion - The Doctor eventually explained the truth to her, suggesting that she and Troilus move to Cornwall due to historical rumours that the Trojans were the first Britons in order to give them an opportunity for a long and happy life together. When the TARDIS arrives on the planet Dido in the late 25th Century, The Doctor, Ian and Barbara come upon a crashed spaceship from Earth. The time travellers discover it has two occupants - a paralysed man named Bennett and a young girl called Vicki. It seems that they are living in fear of a creature called Koquillion, which Bennett claims is a native of the planet whose people have apparently killed the other members of the human expedition. However, The Doctor quickly deduces that Koquillion is in fact Bennett in disguise and when The Doctor confronts Bennett falls from a high rock ledge to his death. On discovering that Vicki's father was amongst the murdered crewmen, and that consequently she is now an orphan, and because Vicki reminds him his 'granddaughter', Susan who has recently left the TARDIS, The Doctor offers her a place aboard the TARDIS. An offer which she gratefully accepts ("The Rescue").